Beautiful spring view with oscillating grass and a lot of tender moving bubbles. Awesome shades of green will give you nice emotions and pure feeling of nature always and everywhere. Cute ladybug, that crawls on the screen, does not give you bored!) 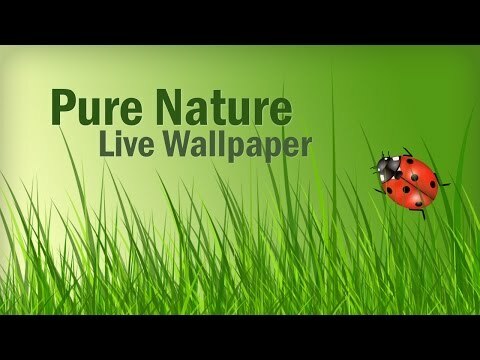 Live wallpaper “Pure Nature” perfectly decorate your device. Adjust the wallpaper on the personal taste.If you love nature, then try new live wallpapers “Pure Nature”!FEATURES- Great graphics, good functionality and easy to use.- Adjusting each element of wallpaper.- Optimized for most android devices: smartphones, tablets, etc.- Multilingualism and support the developer.CONTENT POLICYAn application “Pure Nature” is free to use and distribute for all users, but it ad-supported.